Patients with hospital appointments scheduled for Wednesday 6th and Thursday 7th April are being urged to attend as normal unless they have already been told otherwise. Junior doctors are, once again, preparing for a 48hr period of industrial action, during which they will provide emergency cover only at both Hull Royal Infirmary and Castle Hill Hospital in Cottingham. The action is being taken as part of a national, ongoing dispute with the Government over changes to terms and conditions. Hull University Teaching Hospitals NHS Trust will be implementing business continuity plans between 8am on Wednesday 6 April and 8am on Friday 8 April to ensure the organisation can continue to provide safe and effective care to patients. “We recognise the junior doctors’ right to take industrial action, so we will be implementing business continuity plans in an attempt to minimise disruption for patients and ensure our services can continue to run safely. “Extra support will be provided in those areas we expect to come under additional pressure, including more pharmacy support for our wards to help with prescribing issues and patient discharge arrangements. “In a limited number of areas where it would not prove safe or possible to continue to see patients, it has been necessary to cancel and reschedule some appointments and procedures. All patients affected have now been contacted and we would like to apologise for the inconvenience. 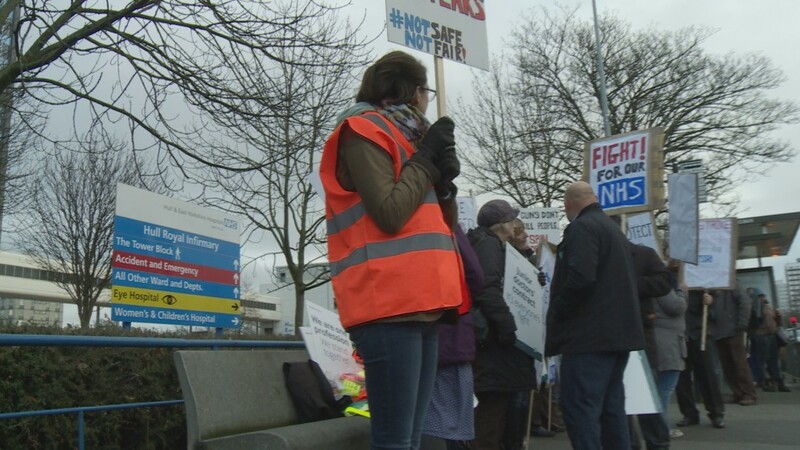 Whilst some disruption as a result of the strike action is inevitable, the vast majority of services and clinics at Hull Royal Infirmary and Castle Hill Hospital are expected to run as normal. Those patients who have appointments or surgical procedures scheduled to take place on Wednesday 6 April or Thursday 7 April are asked to attend as planned, unless they have already been contacted by a member of hospital staff to cancel and reschedule. Emergency care services will continue to run as normal.